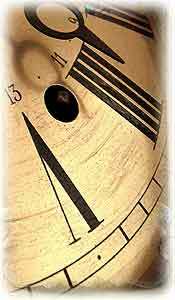 E. Howard Clock Company: The Howard Clock company was established in 1842. It had offices in Boston, New York and Chicago. Edward Howard started in business for himself in 1840. During the 1850s he and a partner started making watches. At this time he moved to Waltham, Mass. In 1857 Edward Howard returned to Roxbury and started another factory known as the E. Howard Clock Company, which is still in operation. One of Howard's apprentices was a Joseph Eastman. 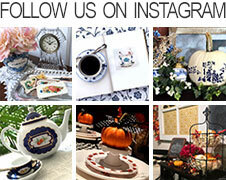 Eastman started the business that is now the Chelsea Clock Company in 1886. 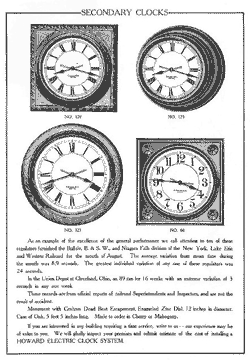 Howard Clock Company was established in 1842. It had offices in Boston, New York and Chicago. 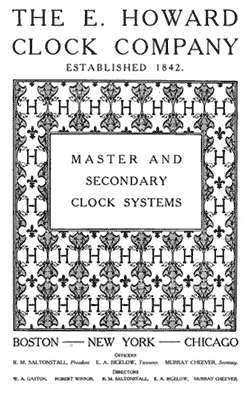 This catalog shows pictures of clocks. 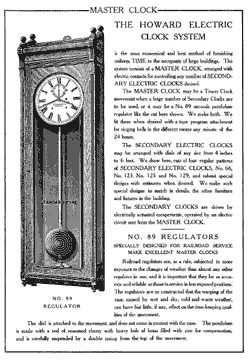 Howard Clock Company catalog page shows pictures of Regulator No. 89. This clock company was established in 1842. It had offices in Boston, New York and Chicago and in the Jefferson Hotel in Richmond, Va. 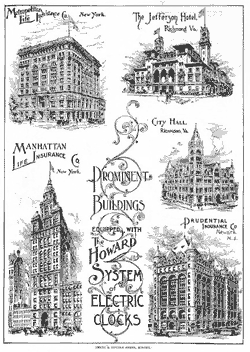 This catalog page shows prominent buildings equipped with Howard Clocks.